From big box stores to the corner market, retailers of all sizes and categories face increasing loss from shoppers and staff, slip-and-fall litigation, and many other challenges in their day-to-day business activities while protecting customers, staff, stock, and facilities. Arecont Vision is proven in its ability to deliver IP megapixel camera solutions to address the needs of the retail market. 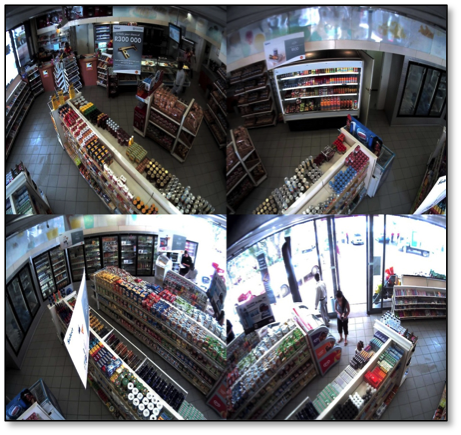 Complete coverage of a large retail store from a SurroundVideo® 180 degree panoramic camera provides situational awareness shown in the images above and below. Supermarket coverage of the entry area, inside and out for outstanding image quality. 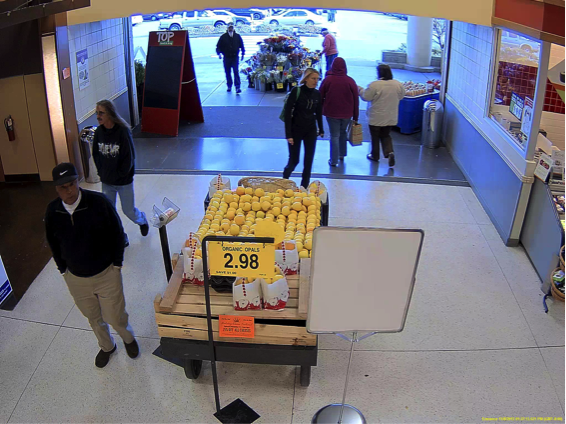 In a supermarket, department store, or other big box retail environment, Arecont Vision megapixel cameras can dramatically reduce the number of cameras to install, operation, and monitor while providing improved video images and coverage. Auto retail show room protected by SurroundVideo® 180-degree panoramic camera with WDR. The garage and service areas are also covered by SurroundVideo. “We have recently installed Arecont Vision megapixel cameras throughout our facilities and the results have been outstanding. 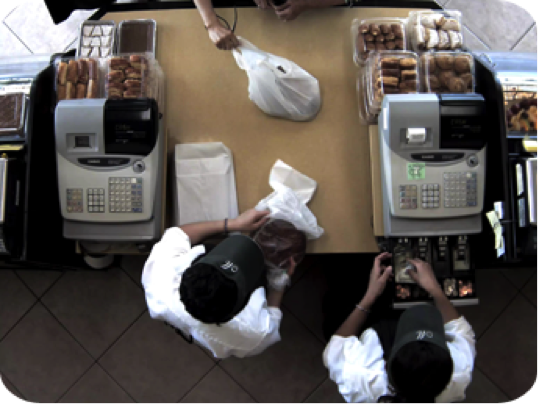 Between the ability to view large areas with their panoramic technology, and the clarity of the megapixel video, we have been able to solve a number of issues and improve our processes. Complete retail store coverage for situational awareness with a SurroundVideo® series 360 degree camera. 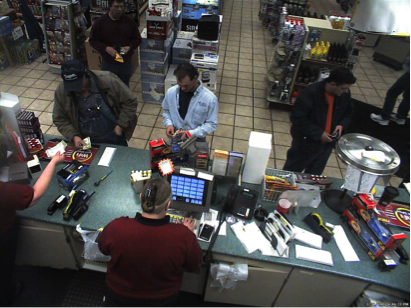 Three Arecont Vision single-sensor IP megapixel cameras provide superior coverage and image quality of a checkout counter area. A SurroundVideo® Omni, 180, or 360 multi-sensor panoramic camera could also be used. 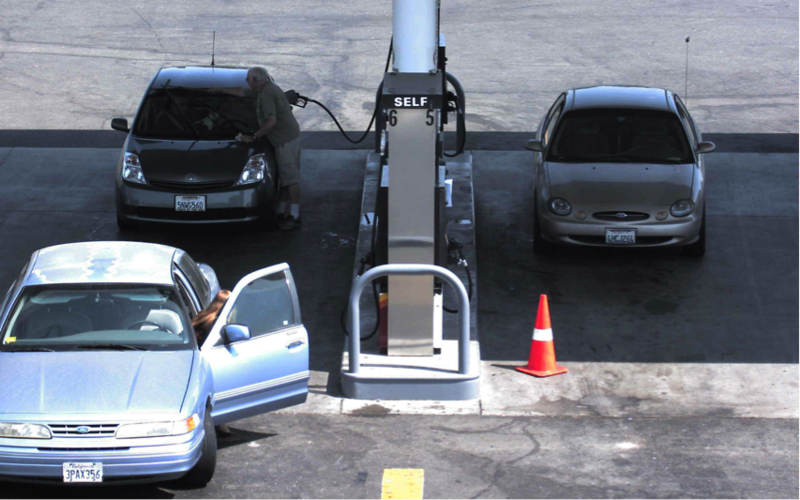 In this example, a single camera provides coverage of a fueling area, both in bright sunshine and in shaded areas.